There are countless law school survival guides filled with good advice for making it through with a minimum of stress. They tend to repeat the same ideas – treat school like a job, get enough sleep, keep exercising. Those are all well and good, but I’d like to add an unexpected coping technique to the list: knitting. Knitting, it turns out, is the perfect hobby for law students. My seatmate in criminal law taught me to knit our first semester, just before we plunged into final exam mania. Before long, I had found a group of friends who met regularly in the student center to sit in front of the fireplace and stitch together. 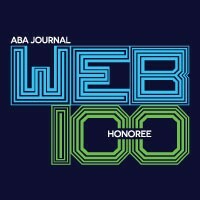 I knit all through school, prepping for the bar exam, and on into practice. 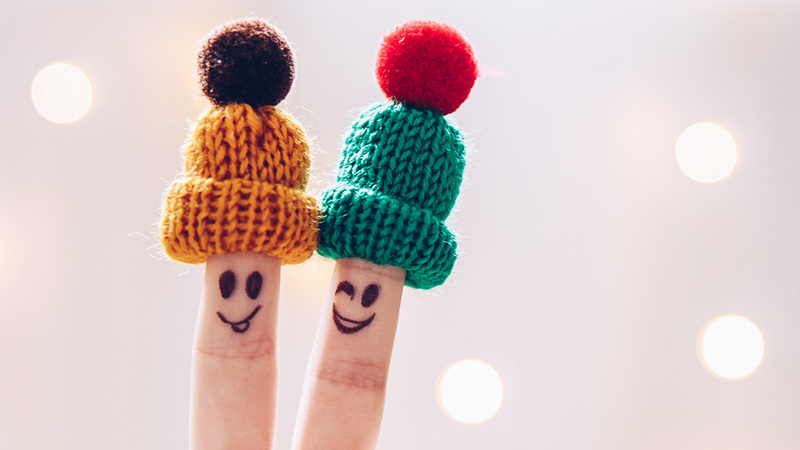 Knitters seem to instinctively know what the data has only recently begun to back up: knitting is good for mental health and fits well into a busy student’s lifestyle. 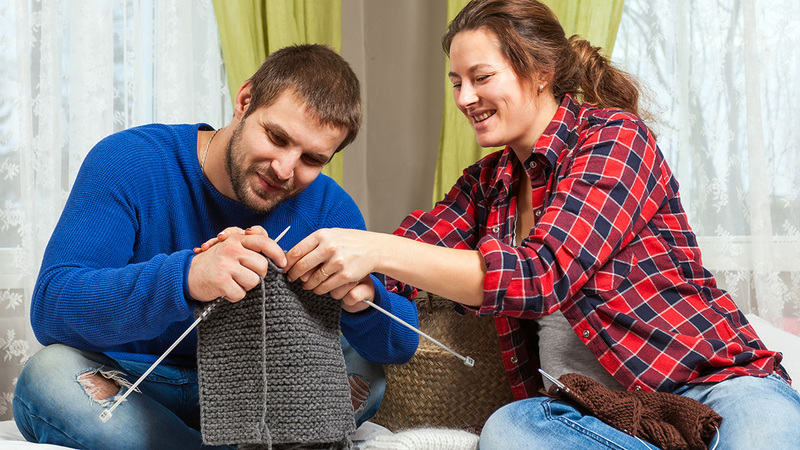 Knitting helps cope with stress, depression. 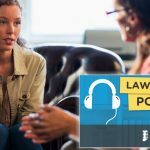 For many students, law school can be an extraordinarily stressful time. Knitting, on the other hand, has been linked to decreased rates of mental health distress and substance abuse. Out of more than 3,500 respondents to one 2013 survey of knitters, 81.5 percent of respondents reported an increase in happiness after a knitting session. 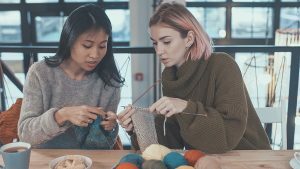 Some therapists have reported using knitting as part of a successful addiction treatment program because it substitutes a helpful activity for a harmful one. If you are stressed out, struggling with depression, or coping with substance abuse, knitting can often be part of an effective treatment plan. Knitting fits well into a student budget. With the high cost of tuition and the amount of student loans many law students are carrying, there often isn’t much room in the budget for expensive hobbies. Luckily, the startup costs for knitting are relatively minor. A set of bamboo needles and a couple balls of basic wool or cotton yarn won’t set you back more than $20. Most yarn shops offer free or low-cost introductory classes (you can find a local shop here), and there are free internet tutorials galore. Knitting gives you a tangible work product. Law school sometimes feels like a sisyphean task. Every day involves class time, hours of reading, hours of notetaking, and very little in the way of an actual work product to show for all your efforts. At most, you might end up printing your outlines at the end of the semester or filling a spiral notebook with class notes. Knitting gives you a physical project to hold and provides an effective counterbalance for the creeping sensation that you work all day but have nothing to show for it. Knitting helps with focus and listening. If you’ve gone out in public in the last year, and especially if you’re around kids ages 5-13 on a regular basis, you’ve probably encountered your fair share of fidget spinners. Knitting is the original fidget spinner and has many of the same therapeutic effects. Cat Bordhi, a knitwear designer and former middle school teacher, reports that she noticed a significant positive impact on her students when she introduced knitting into the classroom. Knitting combats loneliness. Law school can be an isolating experience. All that reading, notetaking, outlining, researching, and thinking is often done in quiet libraries or alone at home. 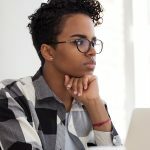 A recent Harvard Business Review article makes the case that loneliness is linked to high rates of burnout in the workplace. Knitting, on the other hand, is a social activity. 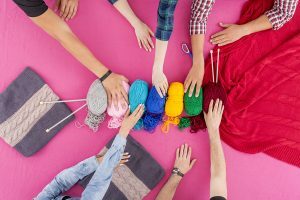 Knitters love gathering in groups to stitch and chat, and one of the best ways to learn how to knit is to learn in person from other knitters. Knitting addresses perfectionism. Law students are notorious perfectionists. But when you’re knitting, you can’t be a perfectionist. Nothing handmade is ever perfect, and it’s awfully easy to make mistakes while knitting. Knitters learn that very few mistakes are ever as bad as they first seem. More than that, most mistakes are fixable. Learning to knit, make mistakes while knitting, and fix those mistakes is a way to learn that mistakes in other areas of life are usually fixable, too. Knitting has an easy learning curve. Starting law school is a bit like being dropped on a strange planet inhabited by aliens speaking an unintelligible language. The last thing most law students want is to pick up a hobby with another steep learning curve. Thankfully, knitting is relatively easy to learn. When my friend taught me to knit, we covered the basics in a single evening. Within a few months, thanks to YouTube videos and a willingness to make mistakes, I had finished my first sweater (lumpy though it may have been). 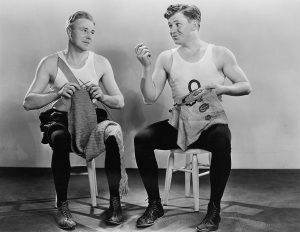 While knitting is a lifetime hobby for many and some techniques are challenging, the barrier to entry for a beginning knitter is very low. Knitting can be done in small bursts. A law student’s day is busy, between classes, clinics, extracurriculars, studying, journals, and job hunting. Luckily, knitting can be done just a few moments at a time, in the little gaps during our days. In law school, I loved using my public transit time for knitting. You can knit a row or two while waiting for everybody to arrive for a meeting, then put it away and pick it up again at lunch for a few more rows. Knitting is portable. Unlike other hobbies, such as woodworking or painting, knitting is highly portable and lightweight – and good thing, too, since the weight of those casebooks can leave knots in even the strongest shoulders. Knitting fits easily into a side pocket on a backpack or a corner of a purse. In law school, I always had a half-finished scarf or sock tucked into my bag, just in case I had a few spare minutes during the day. Knitting is quiet. I never worked up the courage to knit in class and wouldn’t recommend it in most classrooms, but knitting is a quiet enough activity that you can do it nearly anywhere else. I took knitting breaks in the library, the student center, and auditoriums before presentations started. Law school involves a lot of sitting still in quiet places, so if you need to occupy your hands a bit and you don’t want to make too much noise, this is an excellent solution. Bonus: unlike playing on your phone, there’s no risk of accidental autoplay video in a quiet room. Read Lauren’s Twitter thread for more on the history of knitting. Lauren Clark Rad Lauren Clark Rad is an attorney at Ferguson Case Orr Paterson LLP in Ventura, California, where she practices employment law and business litigation. You can chat with her about lawyering and knitting on Twitter or send an email to lrad@fcoplaw.com. If you’d like to join a group of stitchers in the law profession, you can find us on Facebook.